Hello All...We have been RV'g for over 20 years and are Good Sam Lifetime Members. I wanted to share with you a recent experience we had with Good Sam and the emergency road service they offer. We were heading north from Marathon, Florida in the Florida Keyes on the 7th of February. We were on our way to Ft. Meyers to spend the next 2 months of our snowbirding experience. 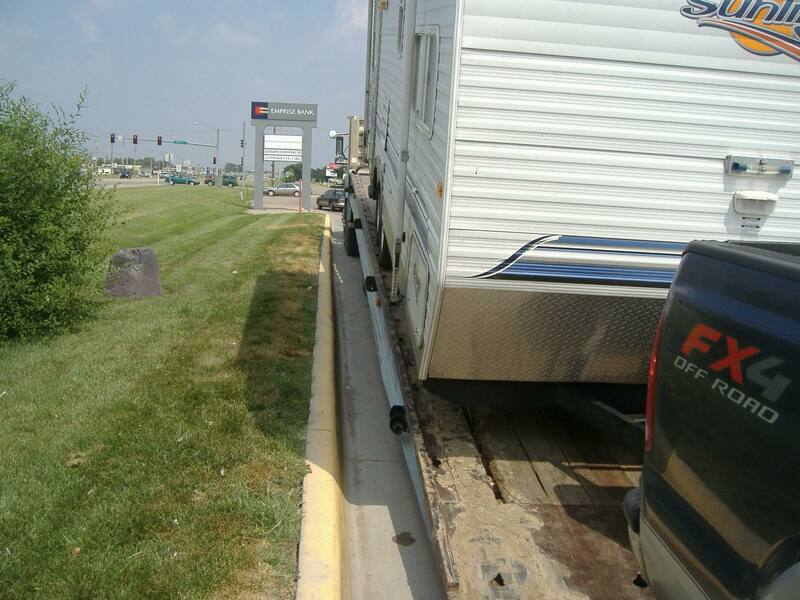 We tow a Carriage Cameo 5th Wheel with our 2004 F350 Super Duty Dully (with just 40,000 miles). We came to the first traffic light in Florida City, Fl and broke down at that intersection of So. Dixie Highway and Palm Drive. We immediately contacted Good Sam and told them of our situation. We needed a tow for our Ford truck to the Ford Dealer a few miles north in Homestead and we needed a tow for our 5th wheel to a campground just 1/4 of mile on Palm Drive. I basically spent 20 minutes providing information about our RV, truck and location and then I was placed on hold for 10 minutes while the rep tried to find us a tow. When she came back on the phone she said she was having difficulty finding us aide and was going to continue looking. When I told her that I was on my cell phone and didn't want to run the risk of losing my battery I asked her to call me back once she found us help. In the interim I contacted AAA that I also have RV Plus. AAA was able to get us a flatbed to tow our truck but when the guy arrived he said he couldn't tow our camper and so he left. ??? That is another story... Anyway, Good Sam called back about 30 minutes later and told me they could not find anyone to tow my truck and/or 5th Wheel and so I needed to find someone to tow them and when I did I could send them the bill! Really? I was so shocked and told the rep how disappointed I was to hear that the people who specialize in camping experiences were letting me down the first time I needed their help. I said much more but I'm sure you all know that what could be said was said. In any event, I called back AAA and told them that the flatbed guy left and we needed him back to tow the truck to the Ford Dealer. They told me that he left because he couldn't tow the truck and the RV...What??? Anyway, they arranged to get the flatbed back and while we were waiting (for at least another 30 minutes)my husband walked over to the RV campground and asked campers if anyone there with a truck and 5th wheel hitch would be willing to tow our camper into the campground for us. Of course immediately there were many volunteers and so after 3 hrs of sitting at that traffic light, our 5th wheel was towed to the campground by a fellow camper (who we will be forever grateful) and eventually the flatbed came back and brought our truck to the Ford Dealership in Homestead. I just wanted to say that Good Sam was Bad Sam and let us down in our time of need. We won't be buying their emergency road service ever again! We are quickly learning that fellow campers will help you with just about anything. We try to pay it forward any chance we get. Sorry you had such a bad experience, but thankfully, you were so close to the campground to get the help you needed. You will find that same helpfulness here on IRV2. Hope the rest of your trip is uneventful. Safe travels. I had to use Good Sam ERS back in 2010, when my F350 lost the fuel pump (Didn't know what it was at that time) At the time, I was towing our fifth wheel in Pennsylvania. The rep took all my info and said they would call me back with an ETA. Ten minutes later, I got the call that someone was on their way. I couldn't believe it, when this great big tow truck showed up! We got the fifth wheel to a local gas station/convenience store and they allowed me to leave it in their parking lot. The truck then took me and the truck to a service center and dropped us off. I replaced what I thought was wrong and headed back to the fifth wheel. Before I even got back on the interstate, the truck died again. Once again, I called GS-ERS.. They called the same driver and had him come back. He got me off the interstate and even helped me troubleshoot the problem. Once we figured out what was wrong and that we couldn't repair it quickly, he had to leave. I ended up getting a friend to get the part I needed and I fixed it in the parking lot I was in. GS-ERS worked great for me and I will continue to use them. Back in July of 2006, Independence Day no less, my girlfriend lost a wheel bearing in her TT. She was in Kansas City, MO at the time. She called GS-ERS and they said they would send someone. An hour later, a big rollback showed up. The driver wouldn't back the TT onto the rollback, but got it into position for her. She shoved it onto the rollback and they were on their way. GS-ERS has always done the best they could, with what they have available to them. Always carry wheel bearing set for the trailer. Hi arvelance, welcome to forum. Best of luck on your future travels. Howdy and welcome to the forum. Sorry for your bad experience with 'Good' Sam. Wow... Sorry I didn't notice that this was your first post here! Sorry to hear of your "Bad Sam" adventure. I have had many occasions to use Good Sam ERS over the last ten years. Everyone was wonderful. Even had one driver that towed the pickup and 5er when the engine died outside of Dallas, Texas. He then backed the whole rig into the Ford dealership parking lot! Lots of pivot points there. Hope to see you on the road one day. Hopefully neither one of us will be broke down, but if you are I'll be one the first to stop and help. May the wind be at your back and the roads be smooth. As I remember Good Sam doesn't cover towables, just the tow vehicle. I think a call to the corporate office, a letter to the magazine and any other publications you can think of is in order. I changed to Good Sam when I felt my other tow service would conjer up excuses for not providing me service. Hope I didn't make a mistake. I think what people need to realize is that they are there to assist you. They have no crystal ball, cannot see the tow service you need from where they sit and are more often than not personally unfamiliar with the town you are in. The fact that AAA had a list with a local available tow service and Good Sam didn't have the same list is not relevant nor are they at fault. Tow service operators choose to subscribe as providers to the different road side assistant clubs. So if you are going to cuss anyone, cuss the business that showed up to tow you in the first place for not being a provider to RV'rs. It sounded like they were less than interested in helping you in the first place. The fact that Good Sam told you to find a service and send them a bill actually says a lot about them honoring their commitment. Tow services that are listed providers of these clubs are paid a flat rate. Good Sam could have very well heaped a ton of conditions on the service provider you found prior to authorizing you to hire them but didn't. They simply didn't have anything suitable in their data base to help and forced you to contact someone in the town you were in to provide the service with no strings attached by Good Sam. You were certainly in a better position to see what the town had to offer compared to the operator trying to assist you from hundreds of miles a away. It is unrealistic to assume the small premium you pay means you will receive worry proof catered service that requires no effort on your part. I have been working in law enforcement for over 30 years and I can certainly share some AAA horror stories with you if you would like. It sounds to me like Good Sam did step up by offering to pay without strings and only required you to go through the local phone book to find a tow because they didn't have the same resource available to them. I am sorry you had an aggravating equipment failure with your rig, but it sounds like Good Sam did all they could with their available resources to assist you. 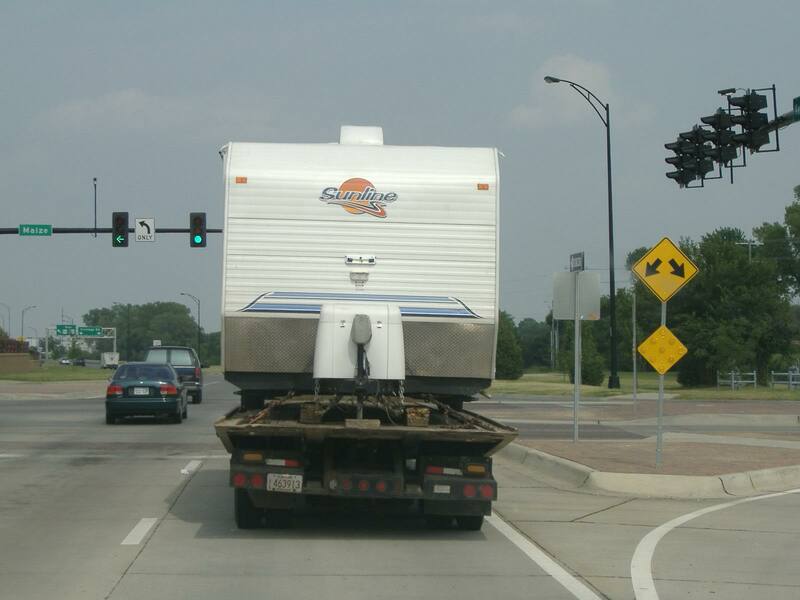 Over the past 30 years, Good Sam perfected the art of specialized roadside motorhome rescues, travel trailer and 5th wheel rescues, and truck rescues. No mileage restrictions or expense limits - whatever it takes! Their advertising would lead one to believe that they they can handle anything, or at least convince a potential customer to sign on with them. Phrases like "whatever it takes" isn't what GS ERS provided to the OP. Our experiences have generally been favorable with emergency road services, though we switched to Coach-Net a few years ago when the GS parent organization was having financial difficulties. 2008 HitchHiker Champagne 35LKRSB GONE | 2011 F350 Lariat 6.7PSD GONE | Many great memories! We have used Good Sam ERS 4 times in the last 10 years. Twice to tow both the dually truck and the 5er, once for dead batteries in the truck and once for DW's flat tire. We had AAA+ and called them once, they told me they could not find a tow for the 5er. I will never be without Good Sam ERS.